1) What skill sets you need to have as a Telecom Tester? g) Experience with IP tools (sniffer, voice quality testing, automated fax/modem testing. 2) What is IVR Testing? Test your IVR system to verify proper operation, voice and DTMF response, and eliminate dead-end menu branches. An IVR (interactive voice response) system can be a complicated maze of menus, branches, and choices. Complex systems of this type require in-depth testing to ensure that customers are not confused or lost. Comprehensive testing ensures that your IVR system is ready for customer use. Testing provides peace-of-mind and reliable operation of your voice system. In addition, testing all IVR menu branches manually is time consuming, error prone, and inefficient. 3) What types of testing are done in conformance testing? – Electrical interface compatibility, e.g. (G703). – Conformance of protocol, e.g. ITU-T spec. – Conformance of transport layers (MTP2/3). It is important to ensure agreement of the relevant data standards for the two networks/elements and any differences in operating procedures, (e.g., disaster recovery etc. ), which may differ. 4) What is Interconnection testing in telecom? Interconnect typically involves testing the connection of two separate entities, usually two networks or network elements. Interconnects in the fixed/mobile network environment will have regulatory requirements or standards if BT is involved. Basic interconnect is concerned with robustness and integrity of the interface. 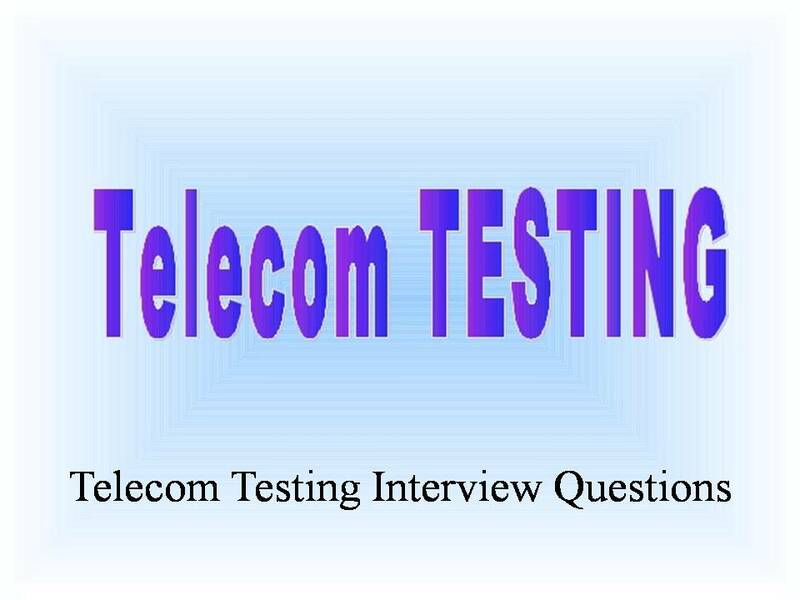 5) What are the various types of telecom testing? 6) Why we use an Automated telecom testing solution? An automated telecom test solution provides comprehensive, consistent testing that can be customized for our specific application. In addition, thorough testing will provide peace-of-mind for us and guaranteed reliability for our customers. 7) Are there any Test tools available for Telecom Testing?